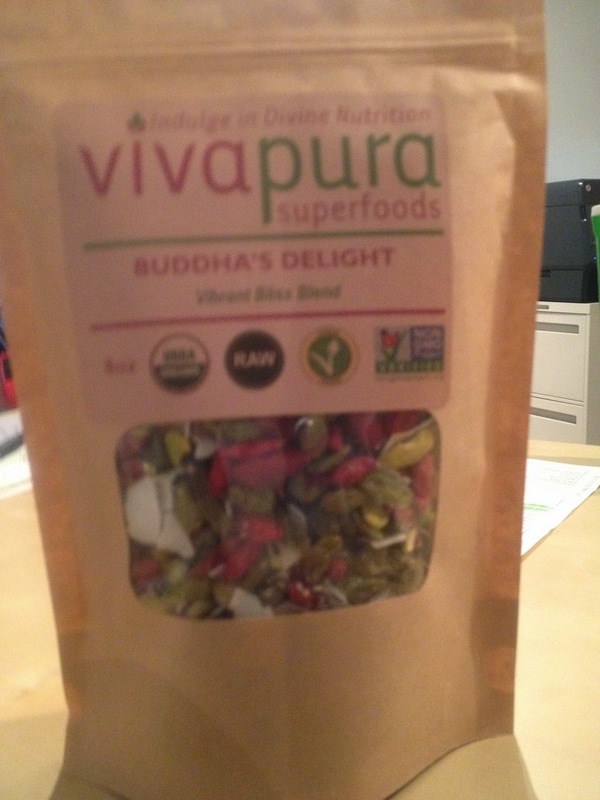 Raw CaCaO Holiday Festivities at Schwartz Living Market in December, 2015 and beyond! The South Side Anglican Church meets in the market on Sundays at 11:00 AM. Services are open to the public and all are welcome! Intercontinental Superfood Brunch at Schwartz Living Market, November 7, 2015 and more! table manners will be expected. Enjoy a-whole-new-level vegan brunch items crafted by Chef Mya Zeronis of Lean Chef en Route/extraVEGANza, using GMO-free, local, organic ingredients and NO refined sugar, gluten, processed textured mock meats, vegetable protein isolates TVPs and processed vegan cheeses. health issues resulted from eating whatever was readily available in restaurant kitchens. Her multifaceted business (personal chef and catering services, raw organic juice bar, vegan whole food cafe and monthly plant-based superfood brunches) aims to make healthy eating and sustainable living accessible. Nearly a dozen of her recipes won top prizes in national and local contests. Some others were published in magazines and cookbooks. advance. Cutoff is 48 hours prior to event. Want to get this brunch and upcoming brunches for $15 each? Sign up for a one-year Born To Brunch membership (link below). Raw fresh ingredients are washed three times using baking soda-sea salt-filtered water solution. Up to two children age 7 or younger, accompanied by paying adult, eat free. For each additional child or those 8-14, the cost is $10 and it's donated to No Kid Hungry. This is reservation-only event and guests must pay in advance. Cutoff is two days prior to event. Want to get this brunch and upcoming brunches for $15 each? Sign up for a one-year Born To Brunch membership. Please email organizer well in advance if you have any food sensitivities and allergies. If bringing children under 7 years of age, please let organizer know how many. Be At Home In Your Body Work/Play Shop! I invite you to join me to explore the power of nutrition paired with self-healing for optimal health. During this workshop we will do a few exercises including meditation, reiki, using crystals and an intention share. We are living temples of Life itself and here you will be given the space to express what you are. Nourishment comes in many forms. Change your food, habits, environment, company, anything, and it changes all aspects of your life. Come and explore what makes you feel energized, nourished and joyful. The rate of this workshop is $10. Half of the funds are going to Schwartz Living Market to contribute to its goal of becoming a Living Building with a green roof running off 100% renewable energy and growing into a thriving healing center. 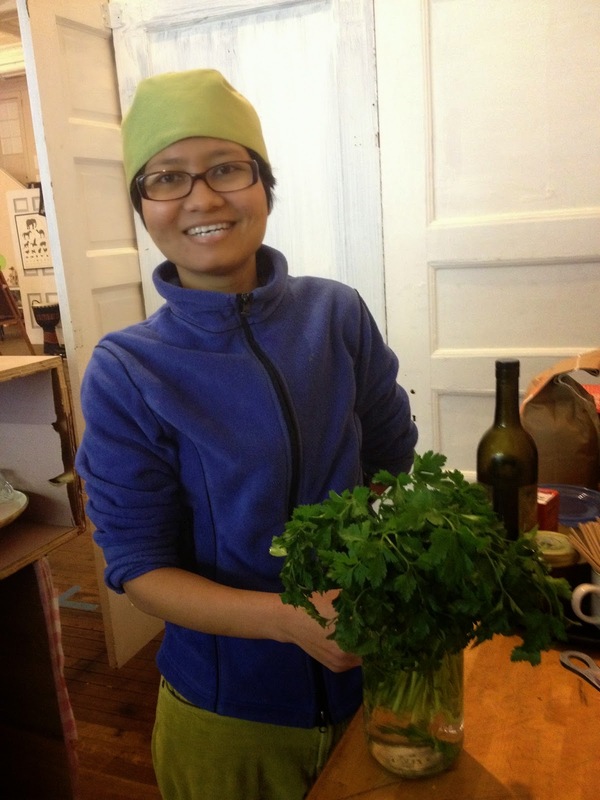 There will be amazing vegan food made by Maya at ExtravEganza Pgh - Lean Chef En Route! Sooo yummy! I am very excited about this and I hope you can join us! Party with us and see Plant Pure Nation Film on Thursday, August 27, 2015 at 5:00 and 7:30 PM! extraVEGANza, Mya Zeronis's newest Whole Foods, Plant Based venture will be there serving their delicious food and amazing juices and for a $5.00 donation you'll get some healthy whole food snacks for the movie. extraVEGANza is now open Tuesday through Saturday from 10:00 AM to 3:30 PM and 5:30 to 8:30 PM. Free parking behind the market across Bingham Street for customers! 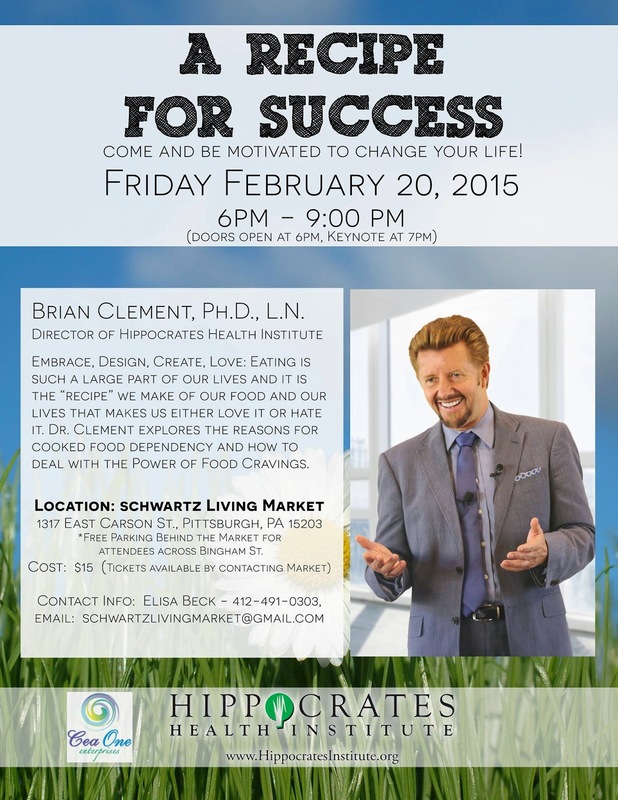 A Recipe For Success with Brian Clement, Ph.D. N.D. Co-Director of the Hippocrates Health Institute speaking at Schwartz Living Market February 20, 2015 7:00 PM and more!! February 20, 2015 at 7:00 PM at Schwartz Living Market: Brian Clement speaks! Join us on Friday evening, February 20, 2015, between 6:00 and 9:00 PM to hear amazing Brian Clement, Co-Director of the Hippocrates Health Institute speak on A Recipe for Success! Brian will begin speaking at 7:00 PM. $15.00 at the door. You can Pre-Register on site at Schwartz Living Market, 1317 East Carson Street in Pittsburgh's Historic South Side, or by e-mailing to schwartzlivingmarket@gmail.com. Free parking is available to customers and participants behind the market across Bingham Street. Zest Wishes, Mya Zeronis will have Vegan, Gluten, Free-GMO-Free, organic food for sale, some raw, some cooked. Dress warmly! On Saturday, February 21, 2015, join us for the Second Annual Upcycle/Flea Market between 11:00 AM and 5:00 PM! Interested in selling some things? Inquire through schwartzlivingmarket@gmail.com, or stop by the market to talk with Liz or Paul during market hours, Thursdays and Saturdays between 11:00 AM and 5:00 PM, and Fridays between 11:00 AM and 7:30 PM. Schwartz Living Market is a co-sponsor for Environmentalism Begins on Your Plate on Wednesday evening, February 18, 2015, at 6:30 PM, a Repair The World Workshop at 6022 Broad Street in East Liberty. Jeff Cohan, Executive Director of Jewish Vegetarians of North America (JVNA) will speak on the environmental ramifications of food production, comparing plant based and animal-based diets. The talk will be followed by a collection of activities to stimulate both your social conscience and inner foodie! Other co-sponsors include the East End Food Coop, JVNA, and Repair the World! Mya Zeronis of Zest Wishes, will be there sampling her delicious fare and representing Schwartz Living Market! Be sure to check out the Schwartz Living Market Facebook page, and LIKE us on Facebook! Have a Happy Day with many Blessings!